Behind every good social media manager is a great social media tool. 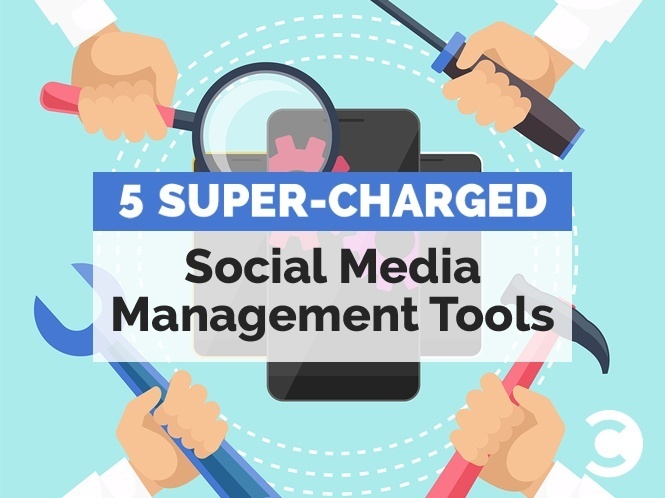 And while there are tons of great tools out there, not all have super powers that save managers time, money, and sanity. Here are five whose powers are worth having beside you. Buffer came on the scene in 2011 as an easy-to-use tool to schedule social media posts. In the years since, it’s been unsuccessfully cloned by a ton of competitors and has added features like content curation and analytics. However, Buffer’s original purpose, to queue tweets and posts, remains its super power . And its power just keeps getting more super. Through integrations with tools like SocialBro and Tweroid, you’re able to set a tweeting schedule based on past performance and times that your followers are most active on Twitter. Are integrations not your thing? Buffer still has you covered. Simply go to your analytics and “re-buffer” your top tweets. 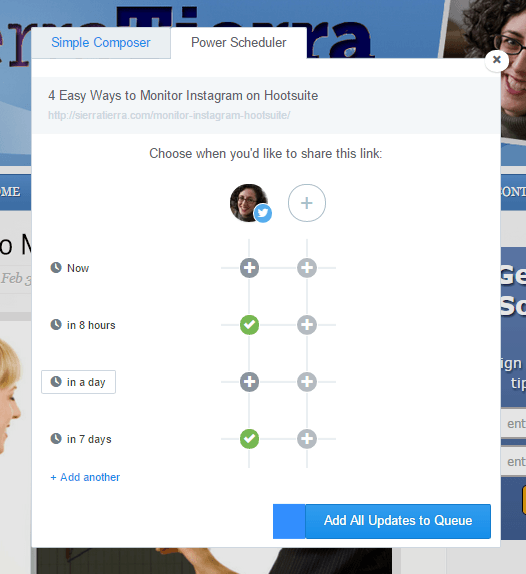 Buffer’s new “Power Scheduler” allows you to schedule the same content multiple times. This feature allows you to edit the wording of the repeated post, which is great for A/B testing. Buffer remains a top-notch tool—even Jay himself is a fan and investor. If Hootsuite reigns as the social media dashboard champion, Sprout Social is its most serious challenger (and sponsor of Convince & Convert’s own Social Pros). Unlike its owl-themed competitor, Sprout’s monitoring feature is not organized as a slew of left-to-right tabs and columns. Instead, it lists all posts in a single, unified news feed. It’s a blessing for businesses and agencies who get lost in the quadrillion tabs they monitor on Hootsuite and other dashboard tools. To answer the question, “What’s Our Social ROI?,” Sprout offers free reports in all its plans. The plans are simple to understand and cover the basics of what most community managers, social media freelancers, and agencies typically track. Agorapulse started as a Facebook app vendor in 2011. As Facebook tabs began to lose their luster with social marketers, Agorapulse moved forward and added Twitter and Instagram to its social media management features. This tool wants its users to be as organized as possible. Unlike its competitors, Agorapulse lets users clearly read feeds in a unified inbox per social account. With this model, you can easily monitor what’s important for your business without scanning multiple tabs or sorting through one integrated feed. It also calls attention to the replies and monitored posts you should attend to. This helpful feature helps users achieve the Zen of Inbox Zero. The standout feature, however, is the way Agorapulse designates roles to your users on Facebook, Twitter, and Instagram. This is a great way to build an influencer campaign or just stay on top of key users’ accounts. 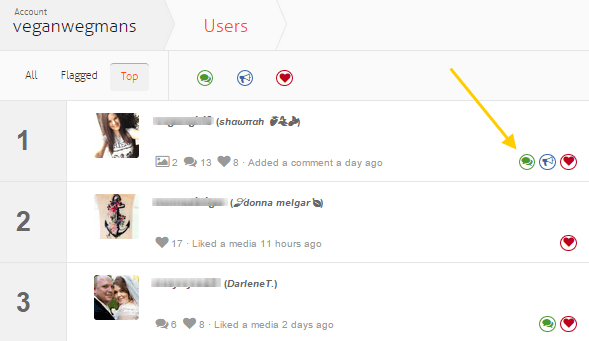 Agorapulse ranks an account’s best users and assigns them tags like “engaged”, “ambassador”, or “influencer” with related icons. You can also tag important users to be sure to find them when needed. Just like the Inbox Zero feature, this keeps you organized by targeting key users in relevant areas. Are you and your Instagram followers on different time schedules (or time zones)? Want to stick to a consistent posting schedule on Instagram? Then you’ll want to use ScheduGram. It’s the sole solution to schedule posts on Instagram from your desktop. By scheduling your posts, you’ll be able to queue up your posts for optimal engagement and then go about your other marketing business. Yes, that means you’ll no longer be chained to your Instagram app (unless you like that sort of thing). ScheduGram also allows for scheduled posting on several Instagram accounts—a welcome feature for agencies and consultants who manage multiple businesses on Instagram. This tool finds the most successful photos, links, and videos published by other Facebook pages in various industries. Its users can then share these posts and benefit from similar results. With this feature, you’ll save time looking for engaging content (and probably save money you might otherwise cough up for Facebook ads that boost your posts). Post Planner practices what it preaches on its own page. By using their own “viral” tool, its page yields 10 times better results than its competitors. At present, there is no single tool that gives you great content, schedules your Instagram posts, qualifies your users, and produces fabulous reports. Instead, consider a Justice League (or Avengers) approach with these relatively affordable Super Power tools. Lisa Kalner Williams is the founder of Sierra Tierra Marketing. Since 2009, she’s collaborated with businesses and agencies on meaningful social media marketing analysis and strategy. Her consulting work for clients has impacted over 1 million Facebook relationships. She currently writes about Instagram best practices for Agorapulse.